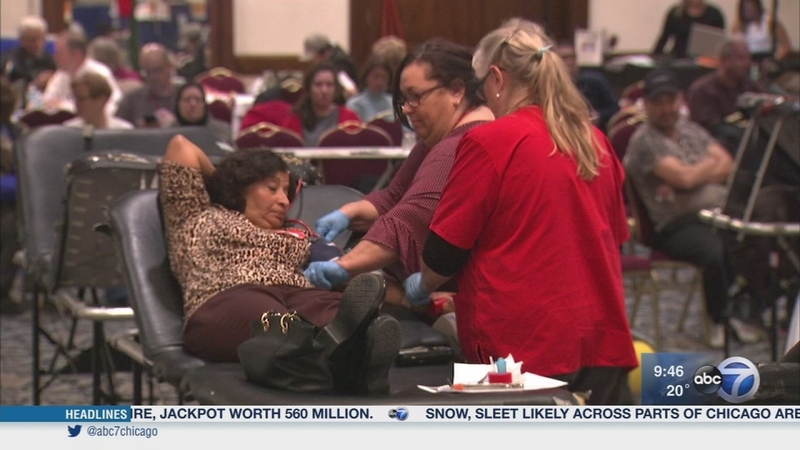 CHICAGO (WLS) -- Each day the American Red Cross needs 14,000 blood donations for patients at roughly 2,600 hospitals and transfusion centers across the country. That blood may save the lives of someone injured in an accident, having surgery or living with sickle cell disease. On Wednesday, we're teaming up with the American Red Cross for the Great Chicago Blood Drive. It's your chance to help save a life. Our guests are Dr. A. Kyle Mack, a hematologist at Lurie Children's Hospital and a board member of the American Red Cross of Chicago and Northern Illinois and Kristen Mill. She had a kidney transplant last June and has had several blood transfusions. For more information on the Great Chicago Blood Drive, click here. Each day the American Red Cross needs 14,000 blood donations.